Forgotten Sundays is the coming-of-age story of a father-son relationship and the value of a good name, which Gerry Sandusky knows all too well. He has had to endure having an unfortunate name in sports, but to him the Sandusky name means something entirely different: honor, integrity, endurance, and suffering and sadness. 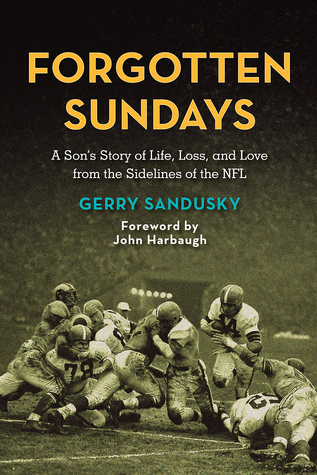 Forgotten Sundays follows the life and relationship between Gerry Sandusky and his father—former NFL tackle John Sandusky and coach for the Baltimore Colts, Philadelphia Eagles, and Miami Dolphins under the tutelage of legendary Coach Don Shula. Gerry spent his summers observing his father in NFL training camps and his Sundays with superstars, Hall of Fame players and coaches from Johnny Unitas to Dan Marino, from Don McCafferty to Tom Landry. Gerry’s relationship with his father evolved through stages of worship, disillusionment, vulnerability, tragedy, and friendship. Along the way he learned about the nature of manhood from observations, clues, and interactions—more often than not unspoken. It was when Gerry reached fatherhood himself and when John Sandusky began to tumble into the gauzy confusion of Alzheimer’s disease that he began to understand his father on a much deeper level. Heartfelt, intelligent, at times humorous, at times tragic, Forgotten Sundays explores the intricacies of a father-son relationship and the nuances of how and what a son learns from a father. It plumbs the meaning of a family name, and it is an inspiration to others to embrace their own legacy and cherish their memories. This is a wonderful book about life not only as a son of a football coach, but just about life and growing up. Especially if you went to parochial school or had a father like myself that fought in WWII. There were so many parts of this story I could relate to. Times when he was being scolded for something and being told this is the way it is. Maybe it was an East coast thing my father growing up out there I don’t know? First let me say John Sandusky was a football player for the Cleveland Browns during the 50s, he played on those great Browns teams with Otto Graham, Paul Brown as coach and many others and played in the N.F.L. Championship from 1950-1955, winning three, his last year he was traded to the Packers and retired after the 56 season. After two years as an asst. coach at Villanova, in 59 he was hired as an asst. with the Baltimore Colts as a line coach, he would spend the next 13 years there and this is where most of the story takes place. Written by his youngest son Gerry, this book has NOTHING, I REPEAT NOTHING, to do with the Sandusky from Penn St. which is spelled with a ( J ) Sadly just the last name is the same and they are not related. Gerry is the youngest of five children and some of the stories that he talks about really made the book for me. For my father was loud and big and everything was at times ready to explode and we went to church all the time, like he talks about. The sad parts are when his older brother passes away and then some years later his mother. While his father was asst. coach with the Dolphins Gerry was working his way into broadcasting and there were some funny stories. But there is nothing funny when a family member or friend is diagnose with Alzheimer’s. He leads you through their time with their father the good days and the not so good. The funeral and then getting up in church to say the eulogy and seeing Don Shula, Dan Marino, Bob Griese, Larry Little, Dwight Stephenson just to name a few. He had spent 43 years in the N.F.L. and 26 years working for Don Shula, 19 months fighting in WWII and so much more. 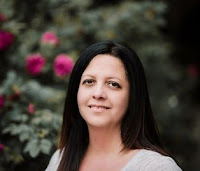 Then after he buries his father the news breaks of what has been happening at Penn St. people not knowing the spelling of the two first names one with a (J) and his name with a G, start to send him hate mail every possible way, twitter, e mail etc. he even changed information to say my name is spelled with a G and I am a sportscaster in Baltimore. This did not work. Then letters would arrive at his house, his wife and his two children were verbally attacked when they went out. his daughter was in college and his son was a junior in high school, these attacks were even worse than what he had to face after his father team the colts lost to the Jets in Super Bowl III, the verbal attacks continued even when he would call a game. He was the announcer for the Baltimore Ravens. During this time he told his family to not talk back to just go on, and as difficult as it was it worked out. By a year later the Ravens were in the Super Bowl and he was doing interviews and nothing about his even came up it was just about the game, by him not responding was the right thing in the end. The strength he learned from his mother and father he was able to pass it along to his children and in the end that is what we want to do as parents. I hope I gave this book the justice it dissevers I was truly enthralled with the beginning of the book seeing what life was like from a coach’s son side but then there were some similarities, either because of age or who knows? The last part is what got me I to got up and spoke in front of my father’s friends at his funeral but having to deal with such hatred was truly remarkable. 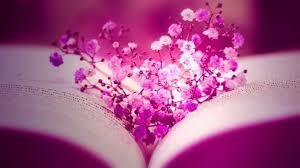 A fantastic book! I got this book from net galley.